“Today’s announcement is disturbing news and highlights the urgent need for action to stop Asian carp and protect the Great Lakes. Agencies have known for years that the electric barrier is not a foolproof solution. Studies have shown that barges can pull fish through the barrier. There are best practices for vessel traffic moving through the barrier to reduce this risk and they must be implemented immediately. Action is urgently needed on additional protections at the Brandon Road Lock and Dam near Joliet, IL. The facility is a logical choke point location to install control measures to stop Asian carp from moving closer to the lake. The U.S. Army Corps of Engineers has drafted a study on options for Brandon Road. Although the study is paid for and ready for public review, its release has been blocked by the Trump Administration. Legislation was introduced in both the House and Senate this week pushing for the study’s release. In light of today’s news, we urgently call for immediate release of the study so progress can continue on the development and implementation of protection measures at Brandon Road. Do you love the Great Lakes? 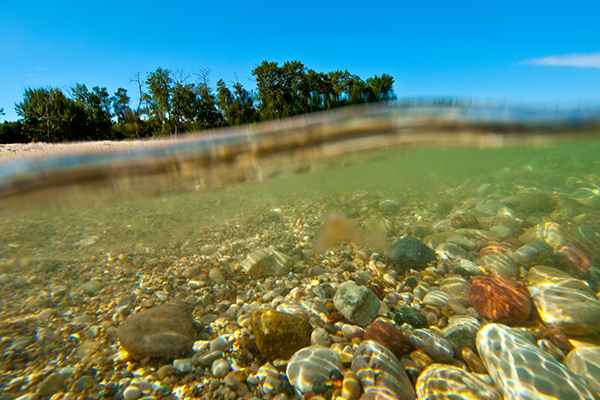 Sign up and we'll keep you up to date on critical Great Lakes issues and all the ways you can help.